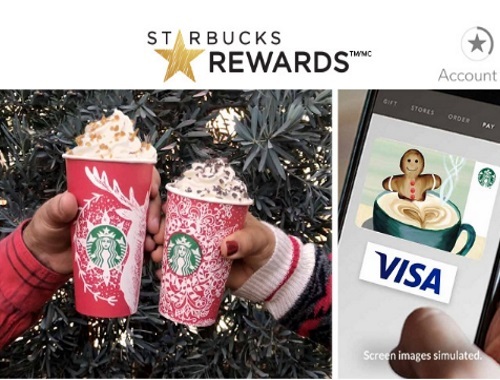 Starbucks has teamed up with Visa for a special offer! When you buy a $15 or more Starbucks eGift card using your Visa Debit or credit card, they'll add an additional $5 to your eGift, courtesy of Visa – just a little bonus to make your eGift go further this holiday season! Load to Starbucks eGift recipient. Offer valid for the first 45,000 purchased only. Offer available in Canada only (excludes Quebec). Limit 1 per person. Supplies are limited.